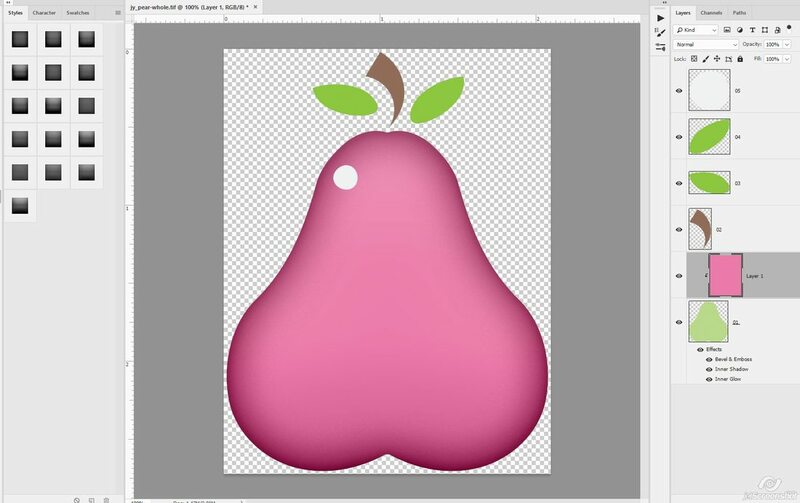 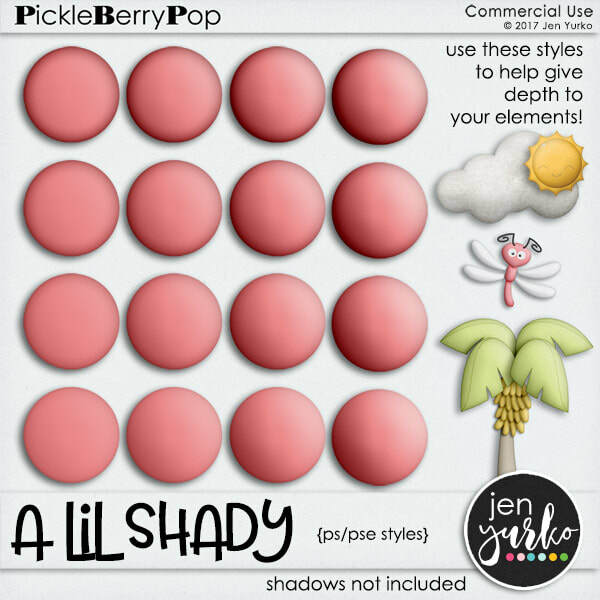 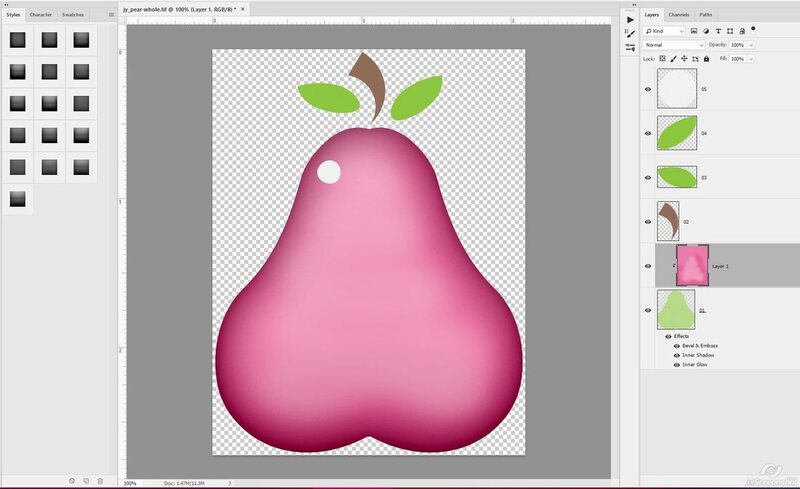 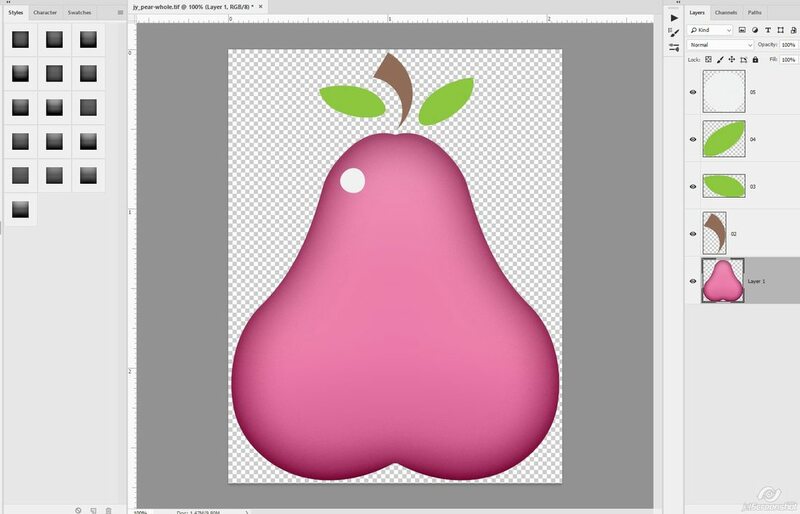 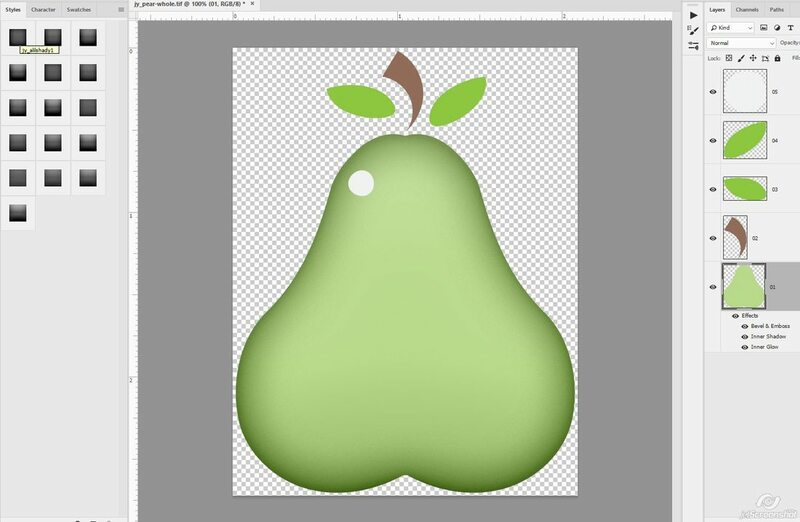 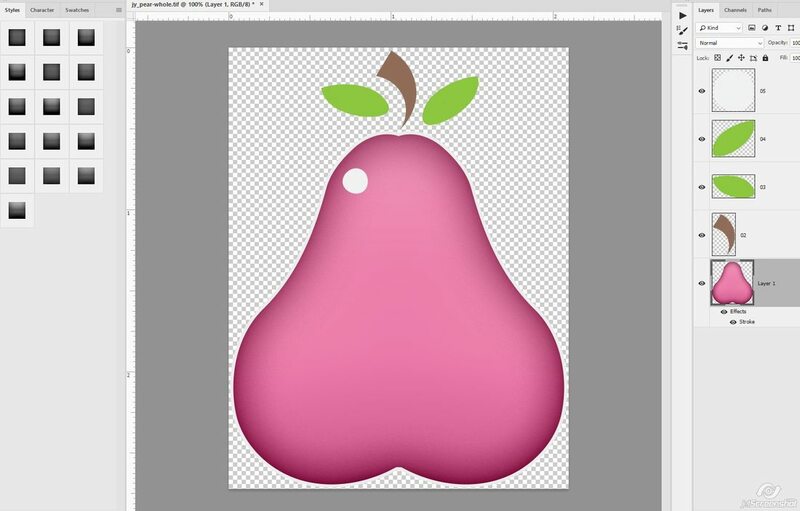 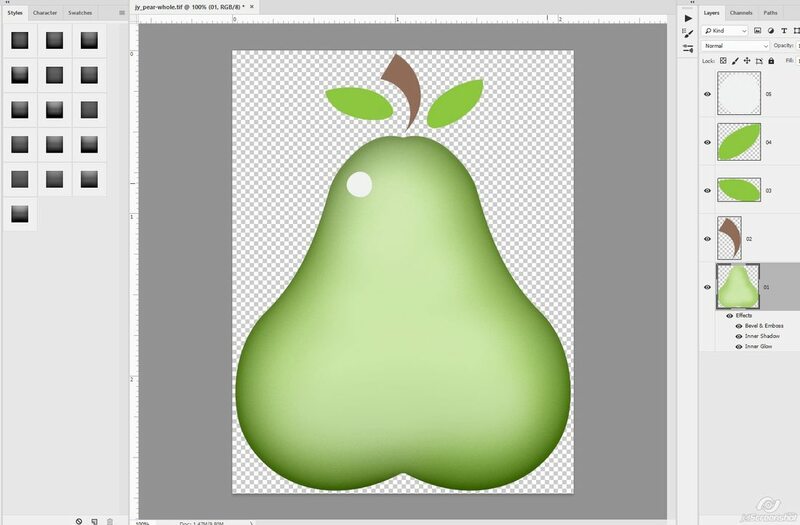 Now let's say I wanted a pink pear instead... the best way to do this is to add a clipping mask filled with color. 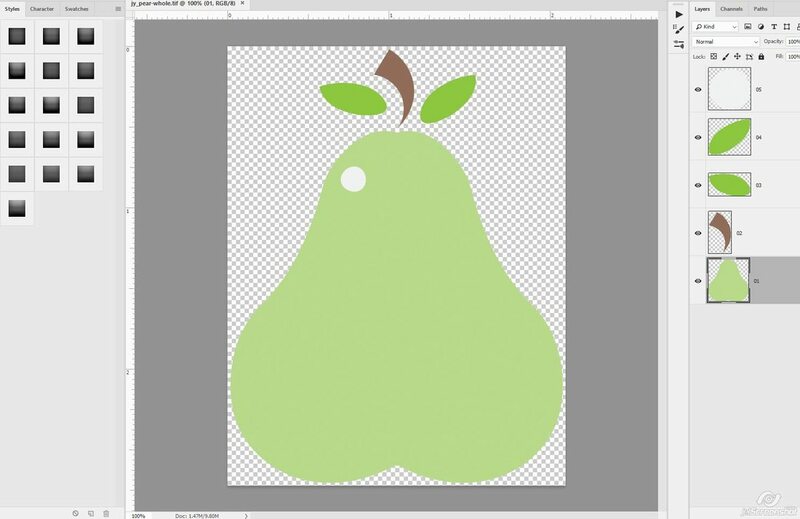 Then I use the dodge & burn tools on the COLOR LAYER (or paper layer if you've clipped a paper instead). 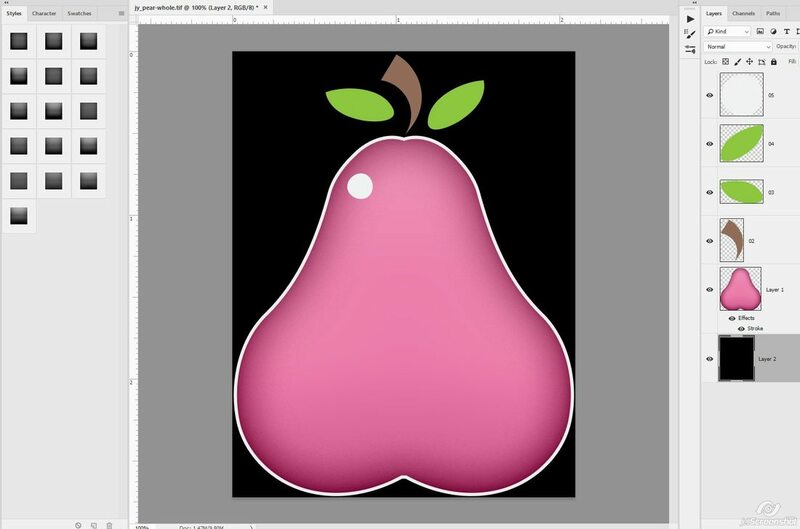 If I use dodge and burn on the 01 layer (pear body), it wouldn't show, because the color layer is covering it up. 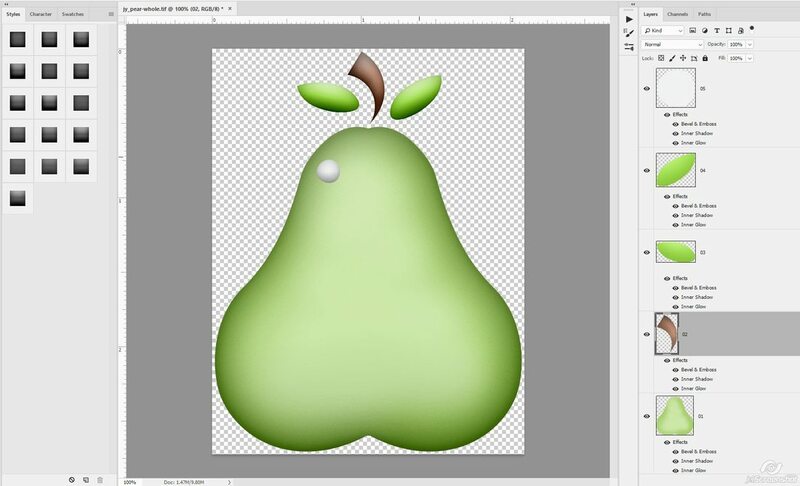 If you want to apply additional styles, you need to merge the layers together FIRST.